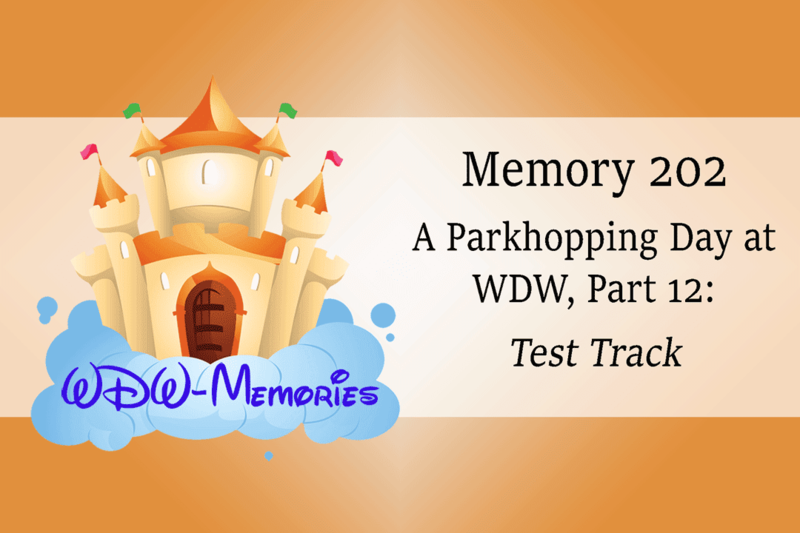 Well hello and welcome back to the WDW-Memories Podcast where together we relive that Walt Disney World Magic. My name is Lou and I'll once again be your host on this adventure. We've got another great memory today. Test Track is a favorite of my family's. I've loved this attraction for years, going back to the original theming as the test dummies. This new futuristic version is interesting and still a lot of fun. I wasn't sure the designing your car thing was going to be interesting, but I think that's the part my kids love the best. That, and thinking their cars are competing, anyways, let's get into it shall we. As you'll remember from last time, it's a very warm summer day in September 2017. My family and I have park hopped to Epcot for the afternoon. We just got off of Soarin', and have crossed to the other side of the park where we have a fast passess for right now at Test Track. We'll join the memory as my family walks up to the Mickey tappers and use our fast passes to jump to the front of the line. I'll trim out a bit of the queue time (we were really only there for like 5 minutes) before we get to the design stations. Mikey and I will work on our design (it's boy's against the girls) before we make our way to the loading station. Traci will ride in the front seat with the kids. We've found that the kids are too short to see in the back seat, so both in the front is best. As we ride, you'll hear the kids squealing with delight and laughter. It really is a great attraction. Today’s memory is in binaural once again, so I’d suggest putting those headphones on to fully immerse yourself in the memory. Now enjoy a ride on the fastest attraction in Epcot.